Our Jersey steer has scoliosis which means he has a curved spine and has special needs. This breed originated from the Island of Jersey, which is a small island in the English Channel off the coast of France. 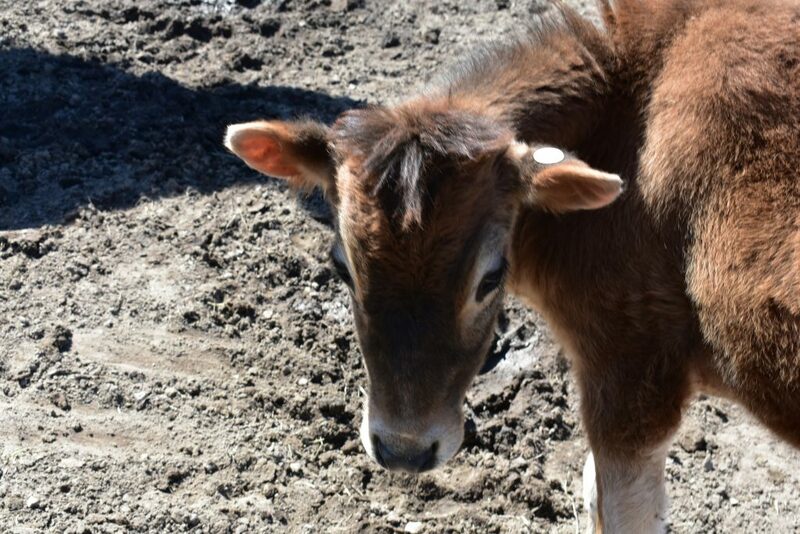 Jersey cows are raised as dairy cattle and are known for their rich, buttery milk. 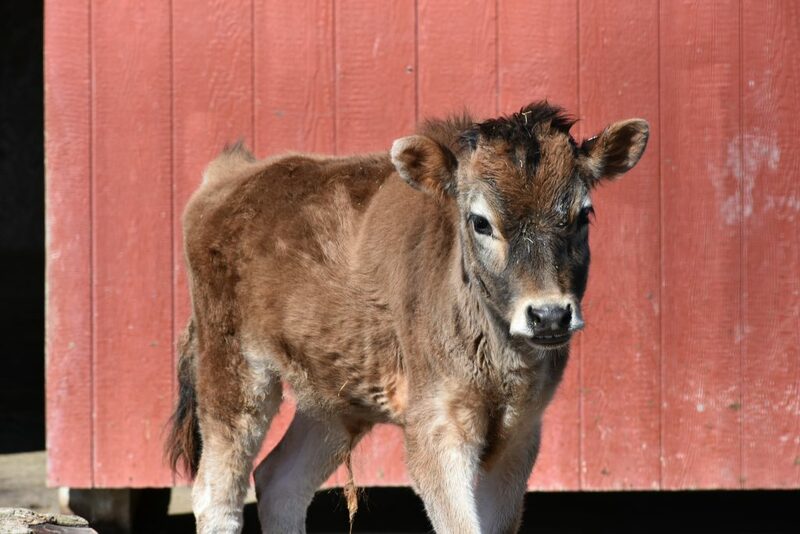 Jersey cattle were brought to the United States in the 1850s and are adaptable to a wide range of climates.